No doubt, most of the websites (about 32%) are today built with WordPress theme. Because WordPress is so easy that a person without coding knowledge can customize the theme as his needs. I personally use WordPress theme for all of my websites. Sometimes, my familiars email me which free WordPress theme is good to make any kind of website they want. 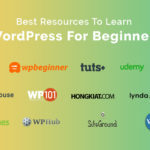 That’s why; I have researched about 100+ free WordPress multipurpose themes but only chosen 16 themes that are literally free but you will get all the features like premium. So, you can build any kind of website from business to blog, news or magazine site. The main benefits of these free WordPress themes are, they are all modern, mobile optimized, fast loading, fully responsive and compatible to all WordPress latest technologies and you can easily customize them as you want. Well, let’s see them at a glance. OnePage Lite is a creative one-page WordPress theme to make any kind of website you want. It is featured with a clean and fresh modern look and design. It is fully mobile optimized and response to any screen size with the full and clean view. There is a space at the bottom that you can use to show your latest or popular blog posts that give you an extra involvement. The theme is very neat with every section that will make your website easy to navigate. Hestia is a multipurpose business theme. You can use it to build any kind of business, corporate, shop or entrepreneurship website. It is Gutenberg and Elementor compatible. It is featured with a clean and modern Material UI kit. It is loaded with a one-page design with excellent artistic look and overview. It comes with also a modern online shop style. The AWE is a free one-page business WordPress theme. The theme is fully responsive, nice looking and professional for any kind of business website. It is SEO optimized, mobile optimized, fast loading, and having effective blog post options. 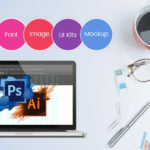 The AWE is loaded with video uploading option, Parallax image background and many more useful features for the corporate website. Airi is an agency theme to use for health coach website, business, startups and other corporate websites. 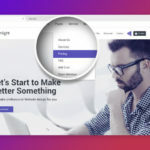 The main feature of Airi is, it has a nice, clean and modest design that will suit every website concept and make your website so stunning and clean. It comes with many different demos that will give your website the specific needs and feels. OnePress is a clean and neat one page business and startup theme for all types of corporate, digital agencies, online shops, creative business, and product showcase websites. Its layout is so elegant that will make your website outstanding. It will basically fit any business website. It is fully mobile optimized and fast loading theme. Neve is Gutenberg and Elementor compatibility. Neve is a multipurpose business theme for every businessman and entrepreneur. It is loaded with elegant and smooth scrolling animations that will make your business website exceptional. It is a free theme but will give your business a modern eye-catchy look. Orfeo is a theme to make a website for the small business like corporate, startups, shop, or anything you want to show online. It is a one-page agency theme but with lots of colorful content boxes and modern and clean interface that give your business a wonderful vibe. It is so easy to customize and flexible layouts with just a few clicks. Sydney is a modern, elegant and slick WordPress theme for creating any kind of business, corporate and agency website. This theme is loaded with full-screen slider, nice looking animations and smooth scrolling features that make your website wonderful. It has a professional footer look, lots of colorful content options that are simple but viewer’s attention-grabbing. 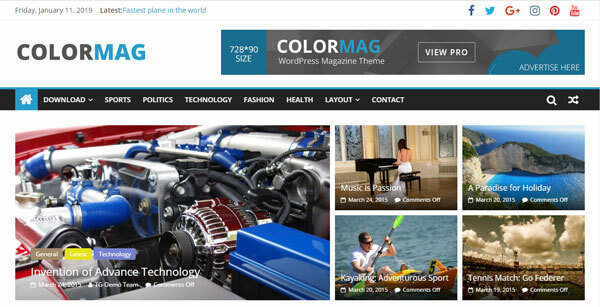 ColorMag is a free but pro type WordPress theme for news, magazine, newspaper, sports or any kind of news publishing website. It has also a pro version. It has a multipurpose concept design so that you can write anything you want to showcase online. 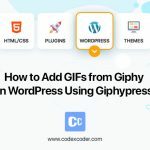 It has a clean and modern look with unique blog post decoration, featured slider, colorful buttons, and many more wonderful features. Fagri is a small business WordPress theme to showcase any kind of product, niches, startups, agencies or anything you want. It has clean sections, smooth modern design, clean one-page look, attention-grabbing appearance and many more stunning features that will showcase your business outstanding. If you are looking for a premium quality free WordPress theme for making your business website, Astrid will be your first choice. Your business website will be 100% professional and business looking. Unlimited color and Google font options give you the full customizable opportunity to make your website as you need. Talon is a multipurpose theme that you can use for making any website you want. It is so impressive and elegant. It has a larger header with a static image or slider up to the screen. It has a clean menu and some text options on the header that you can use for call to action. Lots of icons and buttons you can see on the Talon that you can use as your needs. Zakra is a responsive, modern and mobile optimized theme that you can use any kind of website making. Actually, it is a multipurpose theme for any kind of industries. It has lots of demos from ecommerce to business to spa, just pick what you want to showcase online. You can also build your personal or corporate business online with this theme. The Flash is a unique free multipurpose WordPress theme that you can use to create any kind of website. It is fully responsive, mobile optimized and supportable to all latest WP technologies. If you want to make a modern and professional website, you must need this theme. It is easy to customize and its drug-drop option gives you the flexibility to make your theme within a few hours. GreatMag is a theme for them who want to build a website related to news, magazine, newspaper, sports, travelling or any kind of publishing blog posts. The theme is sleek, responsive, and modern to publish your blog post in unique ways. All features for a news or magazine website are included in it. Easy to customization, demo download, fast loading and one-click demo installation. ShopIsle is a professional looking WordPress theme for making ecommerce website for any kind of product categories. It has a neat and clean and full-screen slider design that will grab the product showcase quickly. It is compatible with any kind of online shop with its elegant look and design. It has lots of features with user-friendly content options, classy layout, smooth scrolling, video ribbon, etc. Hi, I am Shafiqul Islam. I am a Web Content Writer for 4 years. I generally write on WordPress, Technical Topics, Digital Marketing, Internet Marketing, SEO, SMM, SEM, Personal Branding, Money Management, Personal Finance, Blogging, Vlogging, etc.